Jonathan Davies, OBE is the retired rugby player of dual-code pedigree, representing Wales in both rugby union and rugby league tournaments. Jonathan was a goal-kicker and back who played at club level in Australia, England and of course Wales. Since his days on the pitch, Jonathan Davies has become a well-liked media personality and television commentator covering rugby in English and Welsh languages. Jonathan was introduced to rugby at primary school, where he started playing Sevens. His physique was not suited for the tough contact aspects of the game, but his talent and flair for rugby did not go unrecognised. Local sporting hero Carwyn James was one early fan. Davies played at Cardiff Arms Park for the first time as part of the West Wales under 12s. 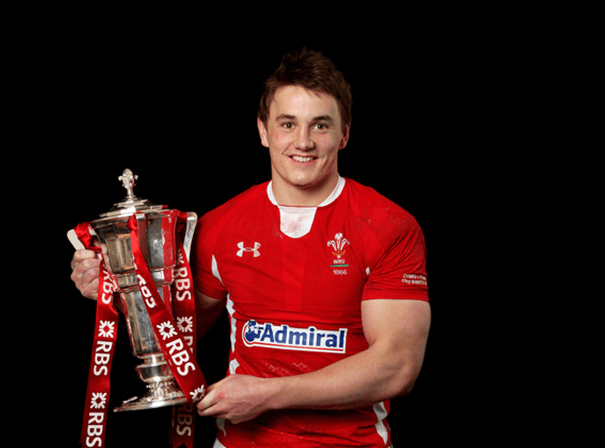 Jonathan developed his skills at Trimsaran RFC, and was recruited to play fly-half for Neath at age 17. After 35 games he was selected to play for Wales in a match against England, in which he scored a try and a drop goal and was named Man of the Match. Jonathan Davies went on to play for Wales for over a decade, winning 37 rugby union caps. During this same period, Davies was an active rugby league player, playing for Wales and Great Britain, and being named player of the 1993-4 season. Since retiring from the sport, Jonathan has worked as a commentator for the BBC, covering both codes, and has hosted the rugby chat show Jonathan on S4C.